"For the win" is how netizens describe the response of a Davao taxi driver to an angry female passenger who forgot her phone inside his cab. Taray Davao taxi driver incident earlier today: So apparently the previous passenger left her phone in the cab. Phone rang, I gave it to the driver, told him to answer it. Female voice on the other end. Driver agreed to return it but said that he still had a passenger (me) and that we were on our way to the airport. End of phone call. Ten seconds later, phone rang. Driver reiterated that he will return phone to Robinson's, where he dropped the passenger off. End of phone call. Five seconds later, phone rang. Driver didn't pick up. It rang again and again...and AGAIN. Driver seemed to be pissed at this point. When it rang again, driver answered and said in vernacular: Madam, Davao taxi drivers are honest. When I said I will return it, I will. Just don't pester me right now because I have a passenger and I don't want to appear unprofessional. Besides, I don't need your Myphone, I have an iPhone 4 given to me by my son who's a seaman and another phone from GrabTaxi! The story is currently trending on the Facebook timelines of a certain NeFoi NeFarious NeFrology and former Davao City mayor Inday Sara Duterte. 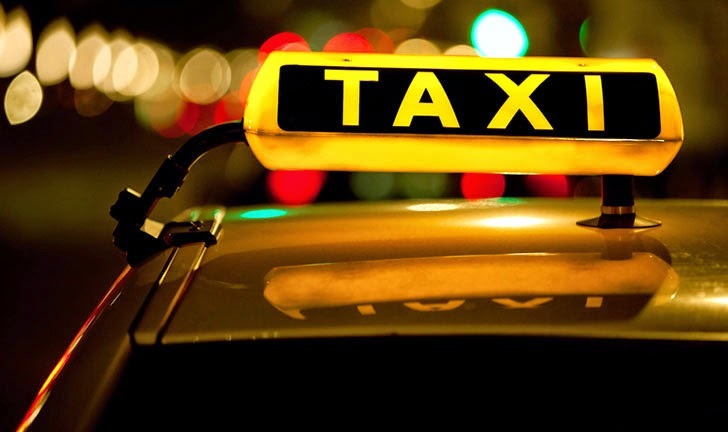 What do you think was the angry passenger's reaction to the taxi driver's FTW remark?